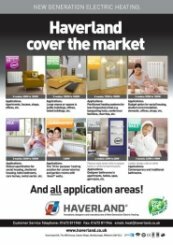 Taking advantage of over 40 years of electrical heating experience, Haverland are attempting to lead the market in the manufacture of household and commercial heating solutions. Internationally trusted UK-manufacturing, Haverland aim to remain cost-effective whilst delivering only the best to their consumers. 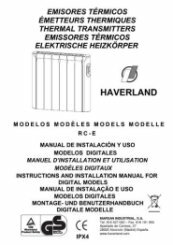 Originating in the iron and steel industrial sector in 1971, Haverland have been the innovators of the electrical heating scene for decades. Their look is recognisable and unique, appropriate for modern or contemporary styled properties. 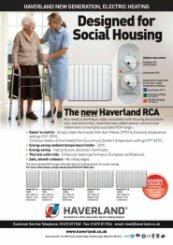 Offering designer electric radiators, efficient electric towel rails and full central heating solutions, Haverland is popular in over 30 countries around the world. With huge manufacturing and research facilities, users can have confidence in the longevity and quality of their Haverland heaters. 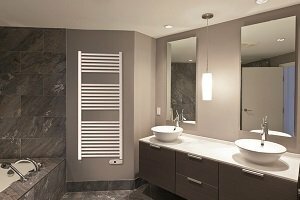 Perfect for smaller apartments and houses to larger public buildings and facilities, the Haverland electric radiator range varies in size and power, ensuring an ideal model for any setting. Heater Shop has available stylish and compact Haverland conservatory radiators alongside the Inerzia range, both warming difficult-to-heat areas. The pilot wire models are great for less frequented areas, whereas the ULTRAD’s flexibility keep energy consumption down during constant usage. The Haverland collection covers the market with fit for purpose solutions, utilising energy-saving technology to keep wastage and costs down. All products are Lot 20 compliant and feature pre-set temperature settings for safety and improved comfort. 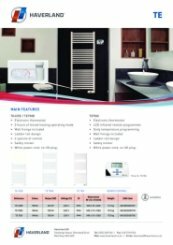 The electric radiators feature state-of-the-art energy management systems with high precision chrono-thermostatic control. 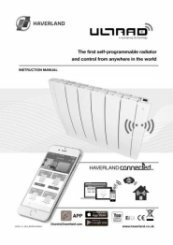 Employing a full electrical central heating system with Haverland will involve zone by zone heating control, aided by onboard digital programmers to tailor the heating to the users preference. Haverland’s towel rails are aesthetically exquisite, featuring the traditional ladder design but employing modern automation. They come with an extended warranty and their longevity is self-assured through the safety limiter and overheat detection sensors. The models have a surface-temperature which is safe to touch and is protected from cold temperatures with an anti-freeze pre-set programme. 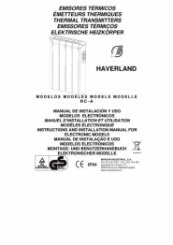 Haverland’s high IP rated models are safe from moisture and deterioration whislt also offering quick and silent heating. 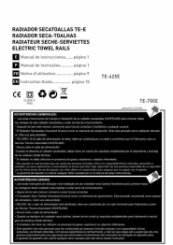 Their recycled aluminium and steel bodies are top of the range, utilising dynamic elements for fast and efficient towel warming. Superior comfort, sleek design and noiseless; invest in Haverland for a tailored heating solution. Are the brackets simple to fit on my Haverland RCB Conservatory Radiator? The brackets that come with the Haverland Conservatory Electric Radiator are very simple to fit. There is an illustrative diagram and how to on page 14 of the Haverland RC12B Instruction Guide. 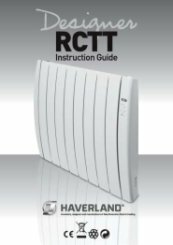 How are the Haverland radiators connected? Haverland radiators are supplied with a moulded 13A fused plug for UK use. Radiators without plugs are designed to be connected to a Phase / Neutral terminal; there is no connection to ground. For the electronic radiators, the pilot wire must be connected if necessary. It is preferential to have a circuit breaker on each heating circuit, separated from the rest of the electric system. 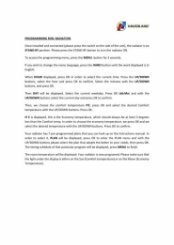 What are the running costs of Haverland Electric radiators? 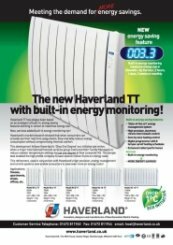 Haverland electric radiators, come in five different power ratings. The output is the power consumed by the heating element in a one hour period otherwise known as a kilowatt hour (kWh). Multiplying your proposed consumption by the cost of each kWh will give you the maximum cost. The thermostat and heating element will switch off and on as the temperature in the room rises and falls, during the Comfort mode. The Economy setting is the unoccupied period, which should be set to a lower temperature to avoid unnecessary heating. Why is the Haverland conservatory electric heater the best heater for a conservatory? The Haverland conservatory electric gel filled heater is the best heater for a conservatory as heating a conservatory in the winter can be an issue. 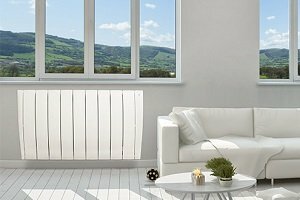 Connecting a conservatory radiator to central heating is never a good option as it doesn't meet current Part L building regulations due to the significant heat loss. 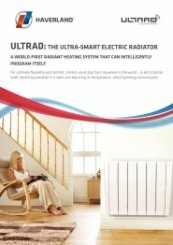 Haverland conservatory electric radiators are the best option for heating your conservatory as they can be installed easily to low level walls and very low dwarf walls with quick fit brackets providing the best economical heating. The stunning Haverland RC12B electric conservatory radiator is hugely efficient and combines both radiant and convection heat. It's short height makes it ideal for conservatories, garden rooms, and mounting on dwarf walls. 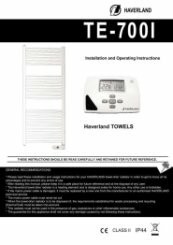 The Haverland conservatory electric heater offers exceptional functions including an upwards control panel and three heating modes including frost protection.